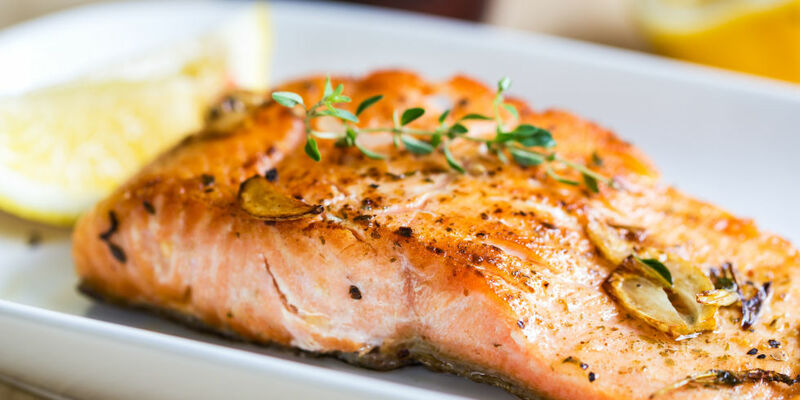 Salmon: Salmon is packed with omega 3 and boosts heart health. Farmed salmon is cheaper than wild salmon so people recommend the former over latter. But wild salmon is definitely high in vitamin and mineral content. According to the Association of Reproductive Health Professionals, the larger and older the salmon fish, the more mercury it will contain. Hence, it is advised to eat fresh salmon. Tuna: Tuna is enriched with vitamin B12 and D, and is packed with calcium and iron. It contains low-fat protein. Kids and pregnant women are often recommended to eat light varieties of tuna fish. Also, canned tuna is high in sodium so if you are specific about your salt intake, then canned tuna may not be a healthy choice. Cod: Considered as one of the world's healthiest foods, this scaly fish is a great source of vitamin B12 and omega 3. Cod is the best substitute for meat protein and fights against various health diseases. It is beneficial for people who suffer from atherosclerosis and have a diabetic heart condition. Most importantly, Cod fish benefits cardiovascular health. Many studies have proven that people who eat fish have a good heart condition and have lower chances of heart attacks than those who don't consume it. Trout: Eating fresh water trout is always the best choice. This fish contains omega-3 fats, which benefits heart health. Health experts recommend rainbow trout over wild trout as rainbow trout is raised and protected from contaminants. Herring: This fish is somewhat similar to sardine fish. An excellent source of vitamin D and zinc, herring has a delicate flavour with soft flesh. Making herring fish a part of daily diet keeps red blood cells healthy. The protein found in herring fish serves as a source of amino acids, required to produce haemoglobin in the body. Sardines: This is an oily fish which is high in vitamin content. Sardines provide more nutrition as it is consumed with its skin and bones. A few health benefits of Sardines include protection against the heart diseases; prevention from certain types of cancer, and helps in strengthening bones. It strengthens the immune system and keeps blood pressure under control. Crayfish: Crayfish is similar to tiny lobsters. They turn bright red when cooked and are juicy when eaten. They are one of the healthy species and contain a low amount of fat content. Crawfish is high in vitamin B, and minerals such as zinc, iron, magnesium, phosphorus and calcium. Catfish: Catfish offers a variety of health benefits. Apart from its flavour, it helps you meet the nutrition needs. It is enriched with vitamins and healthy fats. Catfish has low-calorie content and fat, and including catfish in your diet is a healthy option. It contains healthy fatty acids such as omega 3 and omega 6. The Environmental Protection Agency has listed catfish as the most consumed fish due to its low mercury content). It also contains vitamin B12, which aids our body nervous system.